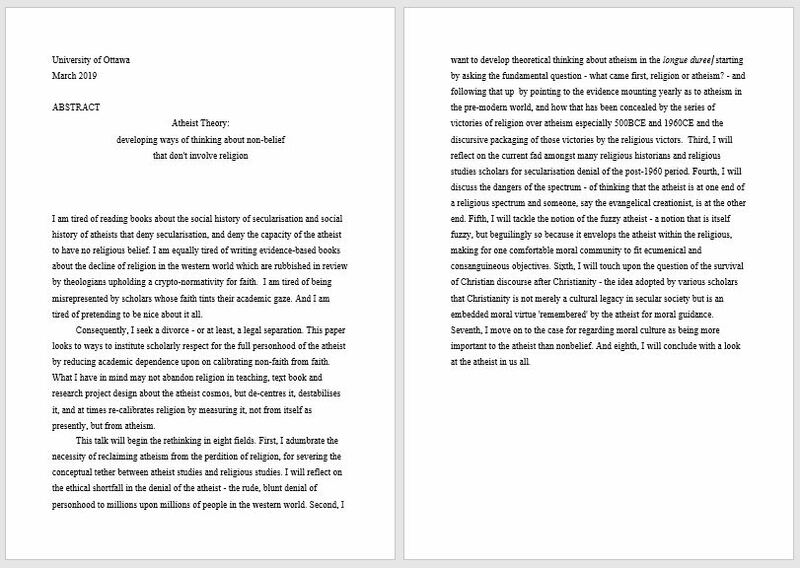 The Religion and Diversity Project is officially winding down. In 2019 our website will be archived on the new and dynamic website (currently under construction) for the Canada Research Chair in Religious Diversity and Social Change. In the meantime we’ll continue to update the Religion and Diversity website, but it will reflect the slower pace of our activities. 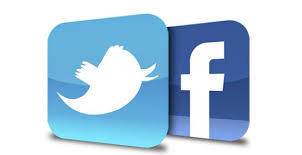 Thank you for your continuing interest and engagement with our research. Examining religious diversity in Canada and the world. Our team of 37 researchers from across the globe was looking at these questions and weighing in on religious issues in Canada and abroad from a variety of perspectives including: religion, law, communication, sociology, history, political science, education and philosophy. If you want to challenge the way you think, keep on browsing to find out about exciting events that took place on and off campus, read thought-provoking research findings and learn more about news events. Open your mind and be daring. Frédéric Dejean will be giving a lecture entitled « Entre visibilité et invisibilité: nouvelle géographie des faits religieux en contexte urbain » The lecture will be held Thursday March 14, beginning at 12:15 pm, in FSS4004 at the University of Ottawa. Join us for "Atheist Theory: Developing ways of thinking about non-belief that don't involve religion" by Callum Brown from the University of Glasgow. 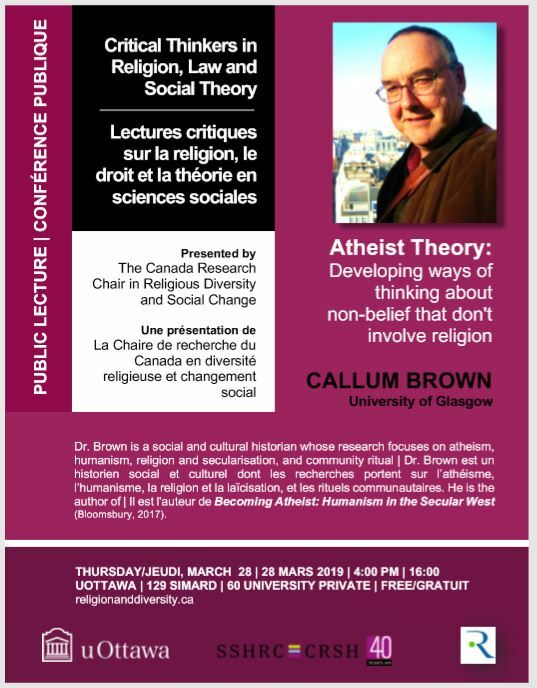 Lecture will be held Thursday March 28, beginning at 4:00 pm at the University of Ottawa (129 Simard, 60 University Private) as part of Critical Thinkers in Religion, Law and Social Theory. 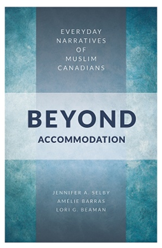 Congratulations to Jennifer Selby, Amelie Barras and Lori G. Beaman for the publication of Beyond Accommodation: Everyday Narratives of Muslim Canadians by UBC Press. Do you need help navigating our website? Please click here to access the site map for the Religion and Diversity Project.